Scroll down to the audios listed for Retreat Days 22 through 25 to meditate on the Lord’s Passion with the help of our beloved founder Servant of God Father John A. Hardon, S.J. The Marian Catechist Apostolate’s Thirty-day at home Ignatian Retreat is part of the spiritual formation of those seeking Consecration as Marian Catechists. It is organized out of the International Office and made at home with the assistance of our Spiritual Directors. Members of the Apostolate who have finished Father Hardon’s Revised Basic Course and would like to be placed on the waiting list for the retreat may call the office at (608) 782-0011 or email: Prayer@MarianCatechist.com. Optional audio presentations for those currently making the 30-day retreat. 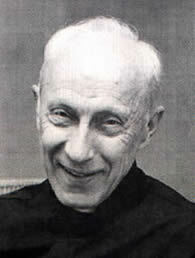 The audio recordings of Father John A. Hardon, S.J. are given here according to the day of the 30-day retreat. All are optional, none are required for the retreat. If you desire, listen to days 0, 1, 9, 10, 13, 15 and 19 before the retreat starts. You may listen to all of the presentations before the retreat but some make more sense when heard during the days of the retreat. “Series” in the title refers to where the presentations are found in the audio listings on the Real Presence website: www.TheRealPresence.org. All recordings are copyright of Inter Mirifica. Used here with permission. If you have listened to other presentations by Father Hardon that would be helpful to retreatants, please contact us with your suggestions.